Marine sediments provide the largest habitat on planet earth, yet knowledge of the structure and function of their flora and fauna continues to be poorly described in current textbooks. This concise, readable introduction to benthic ecology builds upon the strengths of the previous edition but has been thoroughly revised throughout to incorporate the new technologies and methods that have allowed a rapid and ongoing development of the field. It explores therelationship between community structure and function, and the selection of global examples ensures an international appeal and relevance. 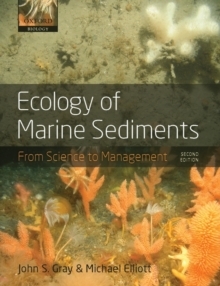 The economic value of marine sediments increases daily, reflected in the text with a new emphasis on pollution, climate change, conservation, and management.